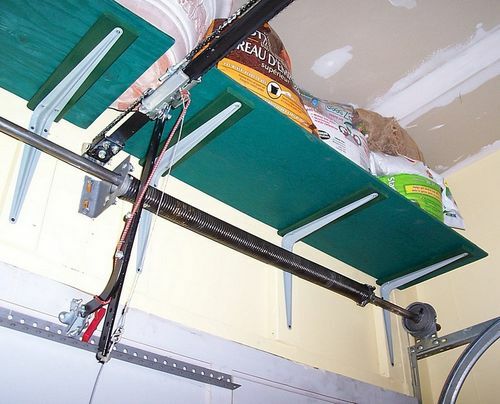 Had this space between my garage doors that could be utilized better. Shelf is 48” high by 9.5” deep. Built with 3/8” plywood & OSB scraps for the shelves. Painted white. It’s a good place to store washer fluid, oil, etc. I figure a lot of people out there might have this space & wanted to share my idea. Not too pretty, but it’s functional. great use of dead space! I like it….......wish I had this space but I have a full garage door. I still like that you posted it for others. Perfect! If it weren’t -13, i would be doing this over the weekend. Thank you for the idea I will be stealing! Not trying to steal any of your Thunder Joe! This is a Great Idea! I also have a One Piece Garage Door as “ohwoodeye” mentioned. I wanted to get as much “Stuff” up off the floor as possible. I was looking for some storage space also. It wasn’t until I had to do some work on the Closer Mechanism that this one Jumped Out at me when I had the door closed. The shelves themselves are 1/2”x2’x4’ “Handy Panels” from HD. I cut the Width down to about 16” from 24”. MISTAKE!! I should have left them at least at 20”. That is a fantastic idea for dead space. I have the same gap to fill in my garage! Every inch counts ,good idea . I’m glad that you posted this. 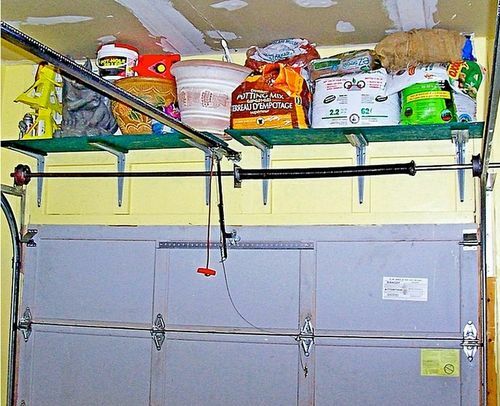 My garage seems to get so full and was thinking this spring it was due for an overhaul/organizing. I am going to implement your idea and hopefully create a more functional shop. Even if it was a simple idea I’m glad you posted it…I might not have thought about using that space. Thanks! Both the OP and Rick have some great ideas! Great idea, very functional. It’s additional storage for car and workshop stuff. Thanks for sharing.